It’s hard to keep track of all the greenhouse gases that are steadily collecting in the atmosphere – from auto emissions and coal plants to methane emissions from cattle and landfills. Fortunately, Ecofys has created an easy-to-understand infographic that breaks down the source and sector of the world’s largest greenhouse gas emitters. Ecofys‘ infographic shows that many sources of greenhouse gas emissions can be reduced if the world’s governments decide to take energy conservation and renewable energy seriously. One of the biggest culprits is global coal use, which is still strong in the US, China and several developing countries, which utilize it for steel production. If renewable energy funding increases, then clean alternatives like wind and solar power will help to lessen this footprint. Scientists and inventors around the world are also working to mitigate the other major sources, which include deforestation, building emissions, methane waste and fossil fuel-powered transportation. For a bigger version of the infographic, click here. What really surprised me is the extent of the emmisions from 'land use change' i.e. logging/deforestation; obviously this in harmful to the environment/contributes to climate change in many ways but I had not considered the direct emmesions from biomass. 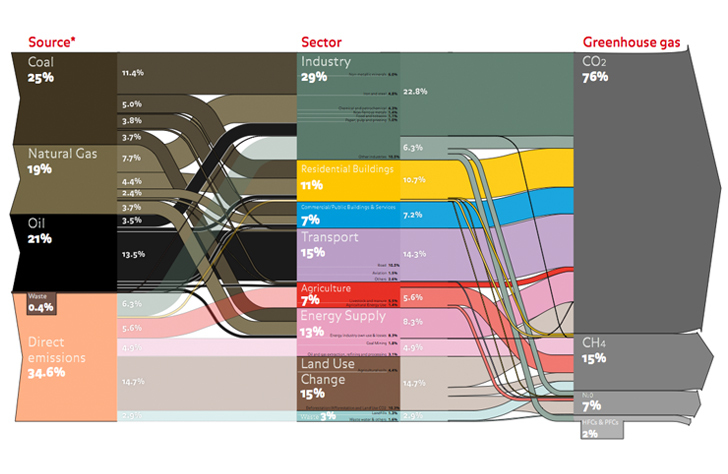 Also, Ryan, there's a link at the bottom of the article where you can find a larger version or click http://www.ecofys.com/files/files/asn-ecofys-2013-world-ghg-emissions-flow-chart-2010.pdf for the PDF. 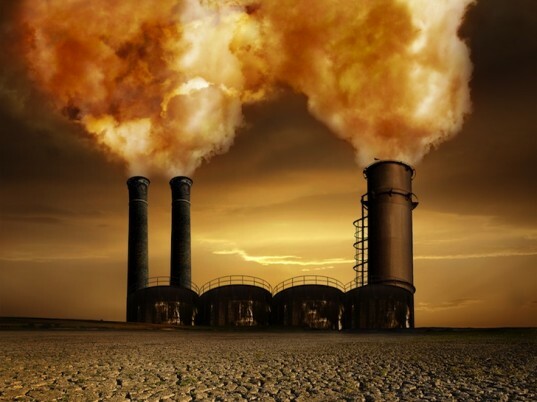 It's hard to keep track of all the greenhouse gases that are steadily collecting in the atmosphere - from auto emissions and coal plants to methane emissions from cattle and landfills. Fortunately, Ecofys has created an easy-to-understand infographic that breaks down the source and sector of the world's largest greenhouse gas emitters.